Explosive forming has evolved as one of the most dramatic of the new metalworking techniques. Explosive forming is employed in Aerospace and aircraft industries and has been successfully employed in the production of automotive-related components. Explosive Forming or HERF (High Energy Rate Forming) can be utilised to form a wide variety of metals, from Aluminium to high strength alloys. In this process the punch is replaced by an explosive charge. The process derives its name from the fact that the energy liberated due to the detonation of an explosive is used to form the desired configuration. The charge used is very small, but is capable of exerting tremendous forces on the workpiece. In Explosive Forming chemical energy from the explosives is used to generate shock waves through a medium (mostly water), which are directed to deform the workpiece at very high velocities. Explosive Forming Operations can be divided into two groups, depending on the position of the explosive charge relative to the workpiece. In this method, the explosive charge is located at some predetermined distance from the workpiece and the energy is transmitted through an intervening medium like air, oil, or water. Peak pressure at the workpiece may range from a few thousand psi (pounds/inch2) to several hundred thousand psi depending on the parameters of the operation. In this method, the explosive charge is held in direct contact with the workpiece while the detonation is initiated. The detonation produces interface pressures on the surface of the metal up to several million psi (35000 MPa). Figure 1 shows an arrangement of Standoff Explosive forming operation. The die assembly is put together on the bottom of the tank. Workpiece is placed on the die and blankholder placed above. A vacuum is then created in the die cavity. The explosive charge is placed in position over the centre of the workpiece. The explosive charge is suspended over the blank at a predetermined distance. The complete assembly is immersed in a tank of water. After the detonation of explosive, a pressure pulse of high intensity is produced. A gas bubble is also produced which expands spherically and then collapses until it vents at the surface of the water. When the pressure pulse impinges against the workpiece, the metal is displaced into the die cavity. Explosives are substances that undergo rapid chemical reaction during which heat and large quantities of gaseous products are evolved. Explosives can be solid (TNT-trinitro toluene), liquid (Nitroglycerine), or Gaseous (oxygen and acetylene mixtures). Explosives are divide into two classes; Low Explosives in which the ammunition burns rapidly rather than exploding, hence pressure build up is not large, and High Explosive which have a high rate of reaction with a large pressure build up. Low explosives are generally used as propellants in guns and in rockets for the propelling of missiles. Less expensive alternative to super-plastic forming. Different materials are used for the manufacture of dies for explosive working, for instance high strength tool steels, plastics, concrete. Relatively low strength dies are used for short run items and for parts where close tolerances are not critical, while for longer runs higher strength die materials are required. Kirksite and plastic faced dies are employed for light forming operations; tool steels, cast steels, and ductile iron for medium requirements. Very large sheets with relatively complex shapes, although usually axisymmetric. Low tooling costs, but high labor cost. Energy released by the explosive is transmitted through medium like air, water, oil, gelatin, liquid salts. Water is one of the best media for explosive forming since it is available readily, inexpensive and produces excellent results. The transmission medium is important regarding pressure magnitude at the workpiece. Water is more desirable medium than air for producing high peak pressures to the workpiece. Formability has been defined as the ability of a sheet metal to be deformed by a specific sheet metal forming process from its original shape to a defined shape without failure. In normal explosive forming operations, the major characteristics of the work metal that determine formability are ductility and toughness. It is general practice not to exceed the elongation, as determined by the tension testing, in forming a part from the same metal. 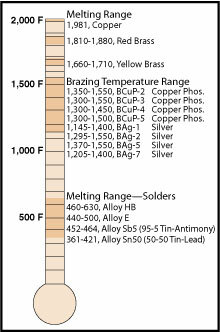 Following table shows the comparison of the formability of some metals, using annealed aluminium alloy 1100 as a basis. 2) Ezra A.A, Principles and practices of explosive metal working.